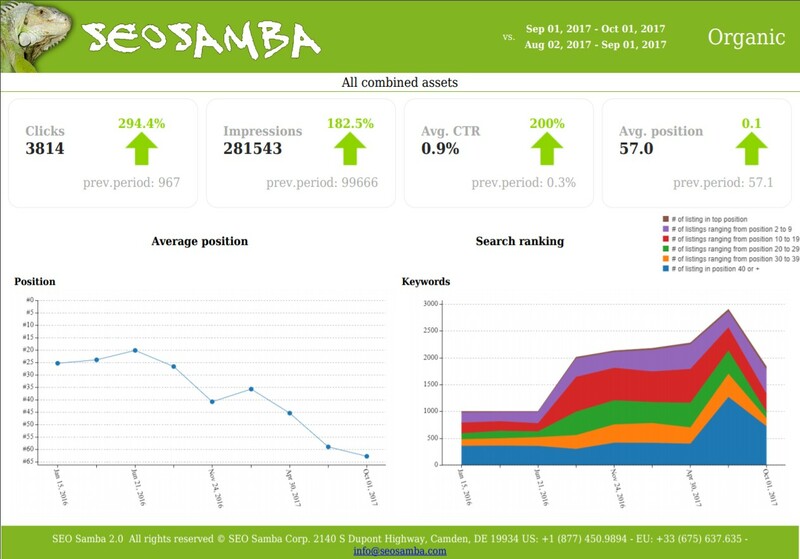 SeoSamba for Webmasters is a free must-have SEO and marketing automation plugin for any WordPress webmaster. SeoSamba for WordPress Webmasters is one of the best SEO tools available for WordPress. Download SeoSamba for WordPress Webmasters, our gateway plugin to the SeoSamba marketing hub, improve your site's Google indexation, and turbo-charge your site performances with access to great digital marketing tools under one roof. Your website is automatically added and verified with Google Webmasters tools. Save your time and efforts. Forget meddling with file upload or tag verification, all of this is handled for you. This plugin generates and add a XML sitemap to your WordPress website. It is suitable for websites with a large number of pages as it breaks sitemap.xml down into multiple XML sitemaps automatically. This plugin let you check your search engine results rankings with Google. Search engine page results rankings are provided by Google itself and automatically updated every day for your Website. Forget maintaining keywords lists, let Google reports back to you instead! 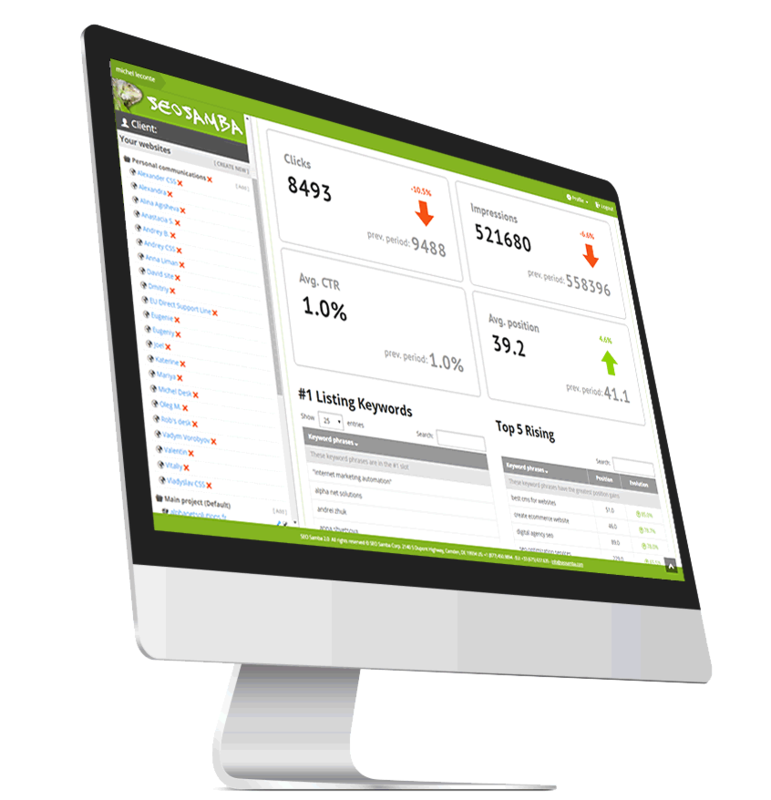 Gain access to comprehensive search reports with SeoSamba for WordPress Webmasters with reports for up to 1000 keywords at a time. Flag key phrases you’re targeting with search efforts to access critical queries reports and receive weekly keywords rankings variations alerts in your email inbox. As well as our keywords opportunities finder that tells you what keywords show traffic potential for your website. You can even generate and download great looking PDF reports for your next presentation or download your entire keywords data set to work it within a spreadsheet. Access comprehensive web traffic reports: analyze traffic metrics side by side with search rankings reports, social marketing and others marketing activities reports. Just add our free site analytics services in addition to Google Analytics or any other analytics product you might be using for your website. Save time by managing all of your social media marketing efforts from a single dashboard. Thanks to the SeoSamba’s platform, you get the tools to manage all your social profiles and automatically find and schedule effective social content in a very nifty social calendar. Save tons of time and money by avoiding mistakes and optimizing your website continuously for top Google performances using a rule approach with our premium WordPress plugin. Maximum ongoing performances for your WordPress website content. Continuous rule based search engine optimization for content as you publish it. Optimize your site systematically: No error, and no page left inadvertently un-optimized. Our experts build your custom on-site Search Engine Optimization rules* so that you're 100% guaranteed to succesfully deploy SeoSamba's technology. SeoSamba's experts have built thousands of search engine optimized websites. We'll review and optimize your website template code for optimal performances*. SeoSamba Premium WordPress co-exist nicely with both versions of Yoast SEO for WordPress plugins. * Conditions apply, see purchase page for details.